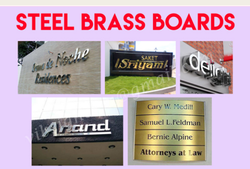 Lwe have achieved expertise the field of offering a wide gamut of Steel Etching Name Board. 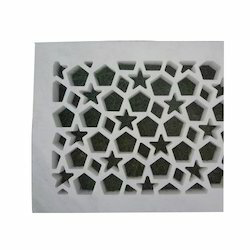 We offer these in a wide range of sizes, shapes and designs to meet the customers needs. Offered products are highly praised for their excellent finishing and have resistant to corrosion also. In order to keep pace with the never-ending demands of customers, we are involved in offering a wide range of Grills and its Installation at site. Roll up grilles has been designed to offer maximum visibility and freeness of air circulation while providing absolute security. FlexStone Murals are customized murals, created after understanding the requirement and inclination of our clients. Our passion for creativity and love for art, has helped us develop a team of Artisans who can carve your imaginations into reality.